It’s a long way from home for Cumbrian man, Seumas Kellock, aged 25, and after travelling over halfway around the world he has been embracing different cultures whilst on his epic circumnavigation. Since we last caught up with him over a year ago, he has developed into a highly competent Watch Leader on board Unicef and sailed over 25,000 nautical miles to Qingdao, in China. IMAGE: Seumas and Unicef arriving into Sanya, China. 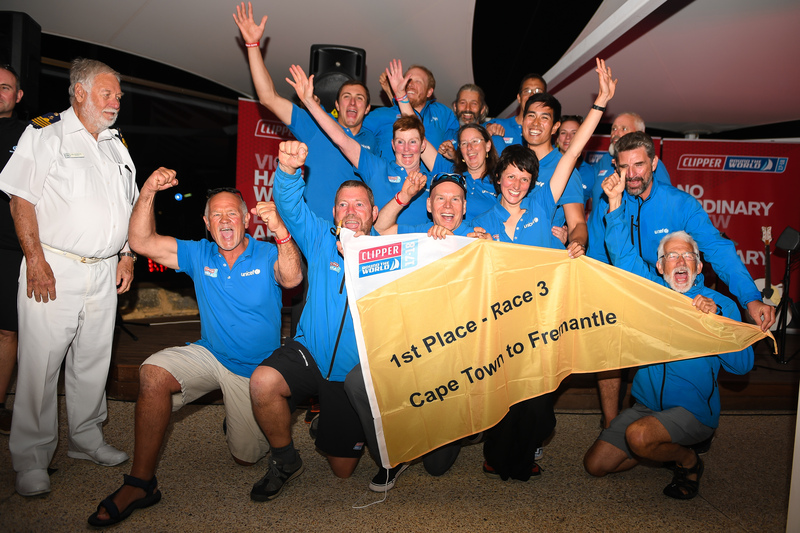 IMAGE: Seumas and Unicef winning in Race 3 from Cape Town to Fremantle. Unicef currently sits in ninth position overall and is yet to play its Joker Card. Race 9, to Seattle, USA, will begin on Friday 23 March. To follow the action, keep an eye on the Race Viewer and on the Clipper Race Facebook Live page.